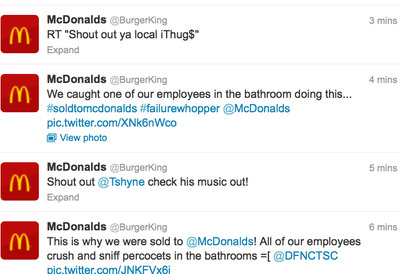 Burger King’s Twitter account got hacked for more than an hour and tweeted out some crazy McDonald’s messages. 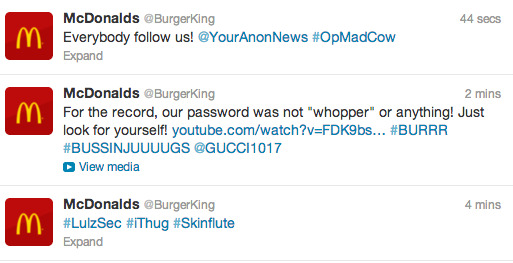 Burger King told the Associated Press that the account had been hacked, and it plans to post an apology later today. The spokesman said he hopes the account will be up and running soon. 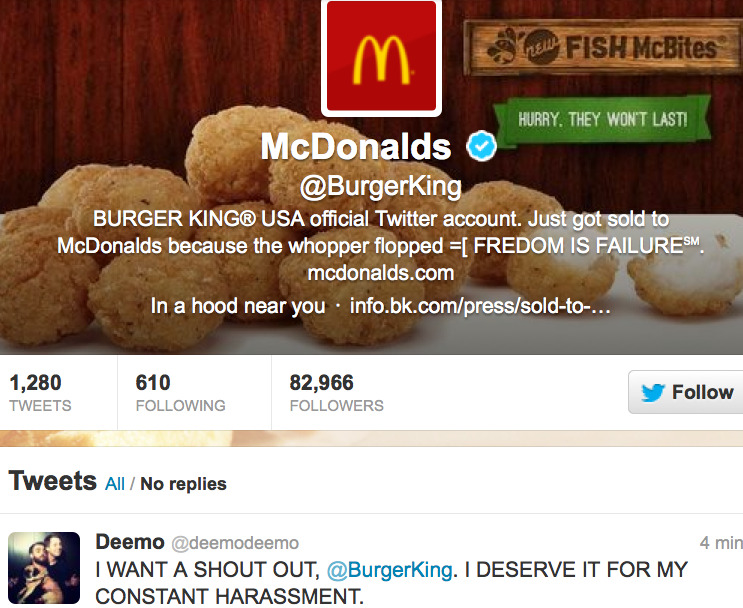 The account was just suspended. 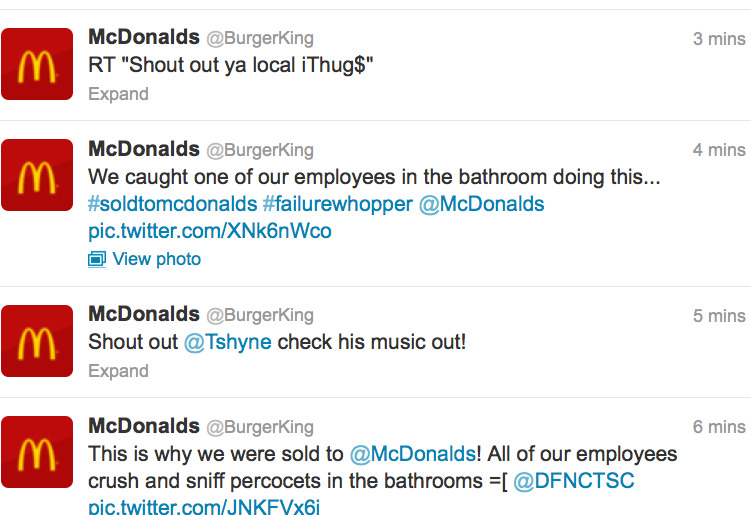 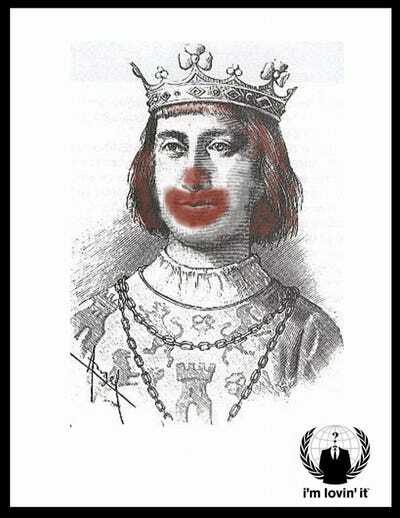 The Burger King Twitter has amassed more than 20,000 additional followers since the hacking started.